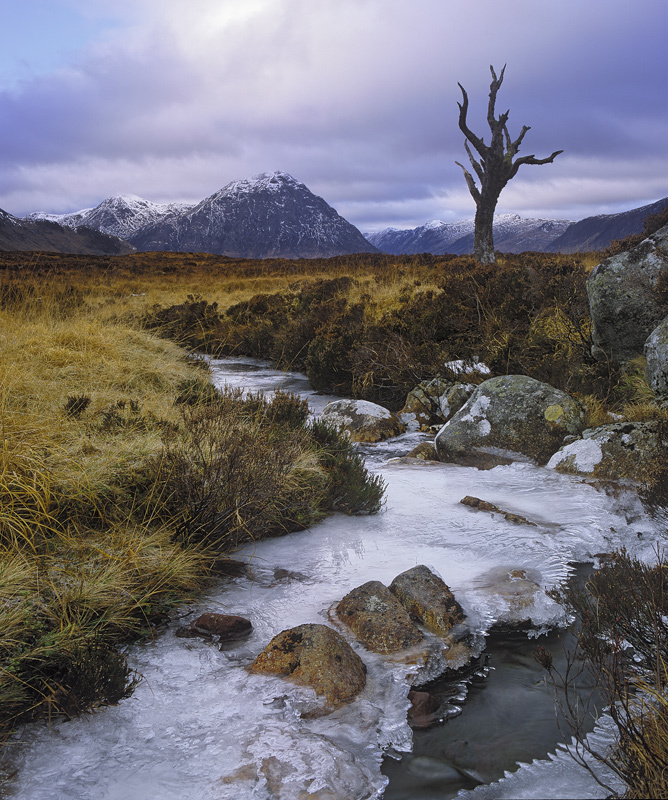 The old skeleton tree on Rannoch moor, at least survived the last spell of high winds that battered the area and destroyed the iconic island tree close by. Never-the-less some of its branches have succumbed to the ravages of this raw and harsh environment and the tree has perhaps lost some of it's very fine profile. Winter sees the stream that meanders past the tree begin to freeze over and beneath steel blue sky and clumps of grey cloud it makes for a fine mix of warm and cool colours in a classic composition.